On stage the ace lively, youthful Band - Contra-Alt-Delete. In yellow EIFF teashirt Graham Knight is calling. - Pic copyright Mandy - Sunday 6th Nov 2016 - at our current usual venue. Don't be shy - give this fun-stuff a try ! Go for it ! Also see - CONTRA - What's that ! 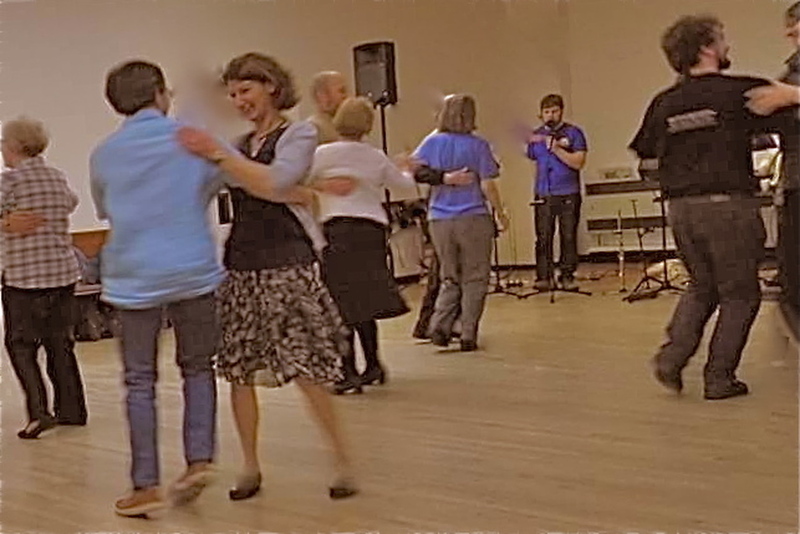 If you're new to dancing, you'll not wish to upset others - browse this ETIQUETTE guide. (It was intended for those new to a dance club). However, here are thoughts which very many attending various dances already would much benefit from noting.